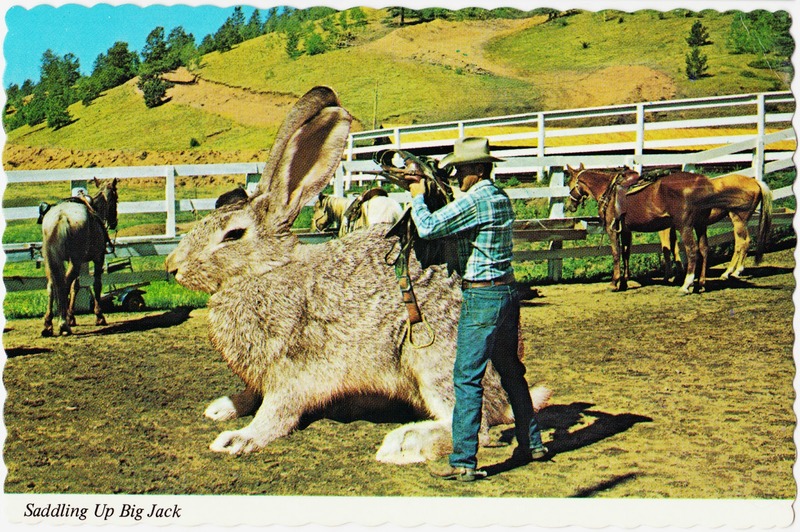 "SADDLING UP BIG JACK. It is not unusual to break these big fellows and use them for ranch work." MORE BUNNIES TO START YOUR WEEK!